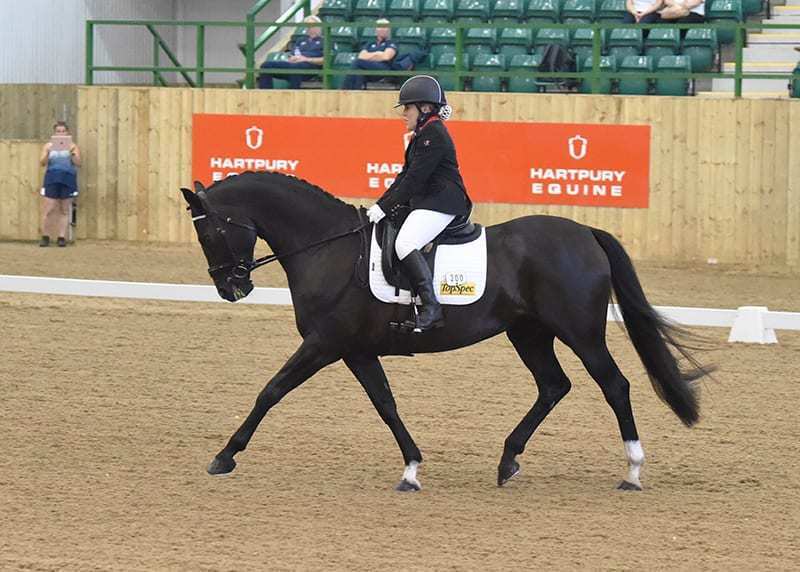 The para riders, who have free rein to choose their music, filled Hartpury’s indoor arena with iconic sounds, from classical music to film songs and even the Great British Bake Off’s theme tune! The Grade III class started the day in which inspiring Suzanna Hext claimed another win at the Festival on Abira with 72.453%. Second place was a close run contest in which Erin Orford and Nirvana Morroko came out on top with 70.546% ahead of Amanda Shirtcliffe and New-Princess with 70.203%. Julie Payne continued her great form notching up another win taking the Grade I with 75.300 on Athene Lindeberg. Mari Durward-Akhurst and Sky O’Hara brought home the silver spot on 71.820% and third was filled by Dianne Green and Gunstones Pride. Natasha Adkinson earned some impressive 80% plus scores in the Grade II, storming in on 77.633% and taking the class with Sweet Caldonia. Georgia Wilson riding Chico III took second spot with 72.600 whilst Lorna Lee and Midnight completed the top three on 56.967%. The Grade IV was another very closely run contest with less than 1% between the top three scores. Nicky Greenhill riding Gregorian Chant managed to just slip ahead of the rest of the field and claim first with 73.225%. Angela Peavy claimed second place for the USA aboard Royal Dark Chocolate on 72.425% and Izzy Palmer and Pinnochio was close on her heels with 72.275% for third. C Fatal Attraction was flying high under Sophie Well’s artful direction to claim the Grade V class on a huge score of 80.550% with 12% in hand over the rest of the class. 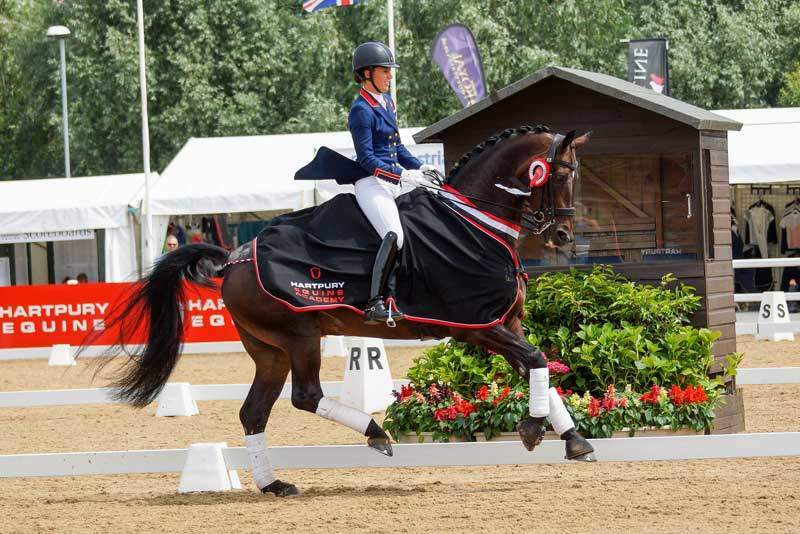 Charlotte Cundall and KBIS Starchaser added another placing of second on 68.310% while the last to go of this year’s para competition, Alejandro Nande Inglesias, took home third on 66.600%. The first of the CDI classes kicked the proceedings outside with the Hartpury Equine FEI CDI Prix St Georges seeing the action. Charlotte Dujardin held the lead from just second to go on Carl Hester’s Hawtins Delicato, winning on 76.632%. 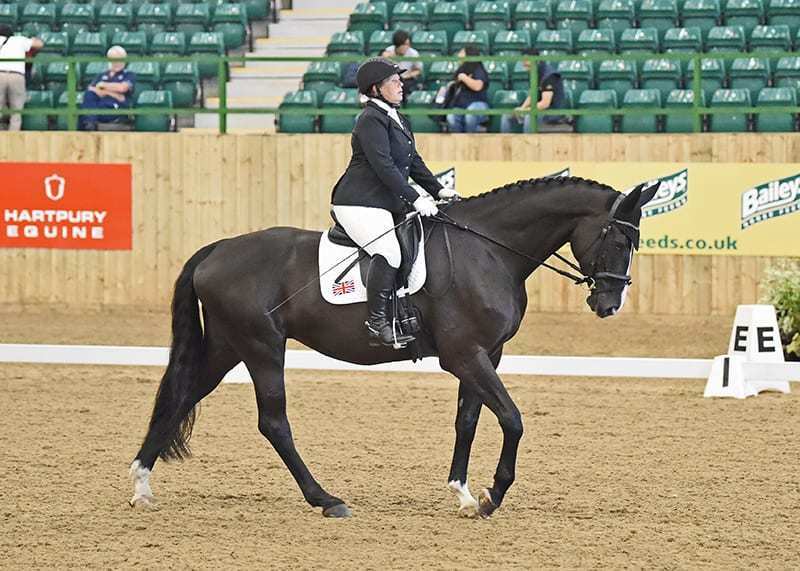 Kate Cowell and Samba Dancer nipped into second on 71.605% while Vicky Thompson Winfield completed the top three with Artist on 70.658%. Spencer Wilton aboard Super Nova II. 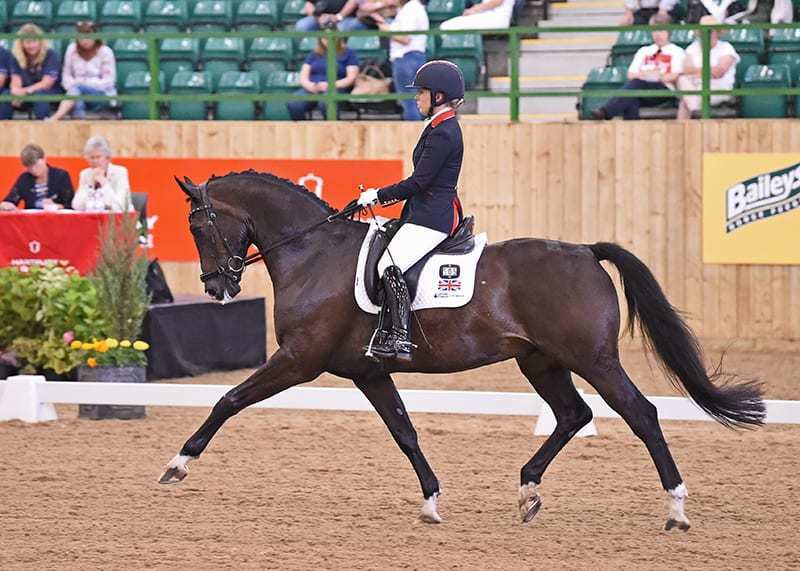 The last class of the day saw a strong field contest the Hartpury Equine Academy FEI CDI Grand Prix in which Olympian Spencer Wilton stormed away with a win on Super Nova II on 78.820%. 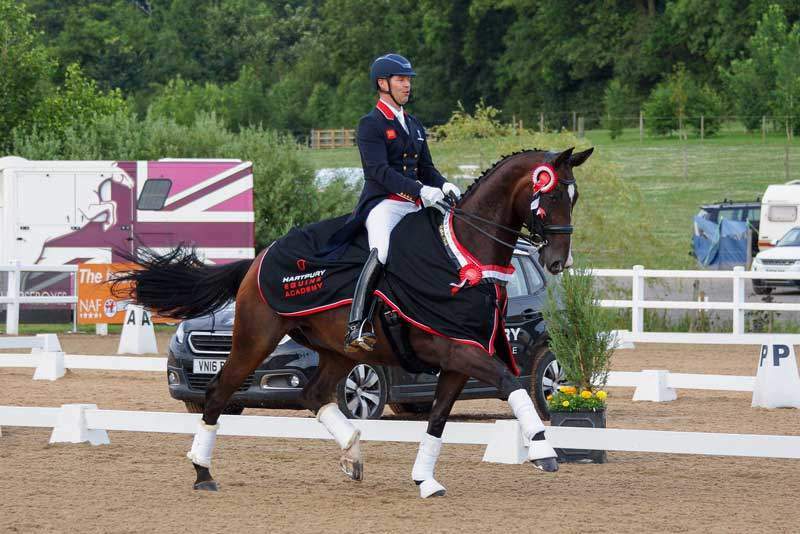 Richard Davison and Bubblingh came in for second place on 73.160% while Gareth Hughes completed the British top three on Don Carissimo with 73.080%.